MusicAlive will be involved in two events as part of the Bealtaine Festival 2012; a garden party in the hospital grounds in Skibbereen, West Cork and a performance in St. Patrick’s Hospital, Curaheen. The Art of Good Health and Wellbeing, 4th Annual International Arts and Health Conference, will present best practice and innovative arts and health programmes, effective health promotion and prevention campaigns, methods of project evaluation and scientific research. The conference will take place from 26-29 November 2012 University of Notre Dame Australia in the beautiful historic city of Fremantle in Western Australia. In conjunction with DADAA, we are planning a number of additional interactive workshops in arts spaces around Fremantle as part of the conference programme this year. 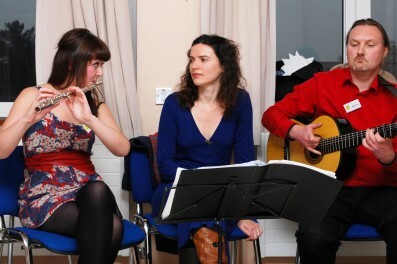 The Waterford Healing Arts Trust is inviting expressions of interest from soloists and established music ensembles to join a panel of musicians for our Healing Sounds programme from July 2012 for one year. Musicians on the panel will be asked to complete an induction before the new panel commences and will be scheduled to perform in Waterford Regional Hospital up to fours times throughout the year. 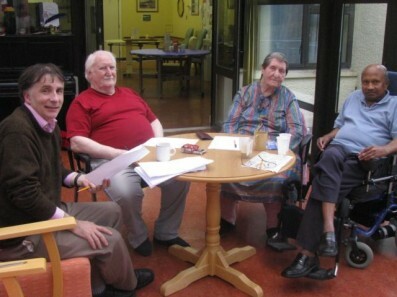 On Friday 27 April 2012, Galway University Hospitals will launch the ninth series of Poems for Patience as well as a collection of poetry by patients; This Never Happened. The Poems for Patience event will be officially launched by poet Fiona Sampson and Kevin Higgins, Writer in residence in Galway University Hospital. Kevin will introduce and read from This Never Happened. The event will take place on the Arts Corridor, University Hospital Galway at 11.00am and is organised as part of the Cúirt International Festival of Literature. 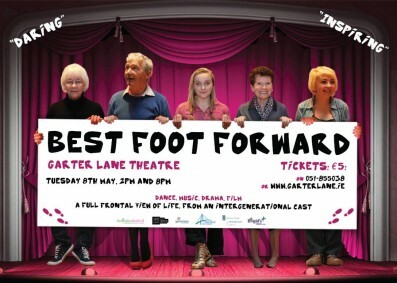 Best Foot Forward is a unique intergenerational production celebrating the significance of the arts across the generations. A lively show for and by the young at heart of all ages! Set on the dance floor of any dancehall of today or yesterday we follow the characters as they embrace life from giddy heights of romance to the whirlpool of despair. The lives, wishes, dreams and fantasies of the characters are played out through dance, music, song, acting and film.